As we get older, the purpose of having life insurance can become more important. This is especially the case when it comes to covering costs like final expenses. These include items such as a funeral, as well as related expenses like a burial plot, headstone, flowers, and transportation - which today, can easily add up to $10,000 or more. Unfortunately, many people who do not have burial insurance can leave their loved ones in a financial bind with many bills to pay - bills that come at an already difficult time. Having burial insurance, along with the proper beneficiary, can help to solve this financial issue. Yet, due to changes in your life, even if you have a burial insurance policy, there could come a time when you may want to need to change the beneficiary that you have named on your policy. Depending on the policy that you have, it may nor may not be an easy task to accomplish. Burial insurance is typically purchased by those who are between the age of 50 and 80 (in some cases, insurers will offer it to those who are older), for the purpose of paying for funeral and related costs. The proceeds on burial insurance will usually range between $5,000 and $50,000. When purchasing burial insurance, it is important to name a beneficiary who will be involved in your final preparation process. This is because he or she will likely be helping to make and pay for the arrangements using the proceeds from the insurance plan. There are any number of reasons why someone may want or need to change the beneficiary on their burial insurance policy. In some cases, it could be that the beneficiary has predeceased the insured. In other cases, however, there may be other underlying reasons. For example, if a spouse was initially listed as the beneficiary, he or she may need to be changed due to separation or divorce. It may also be that a spouse or other loved one who was initially listed has become cognitively unable to carry out their duties. In most cases, a policyholder is allowed to change the beneficiary on his or her life insurance policy as often as they wish - provided they are the owner of the policy. 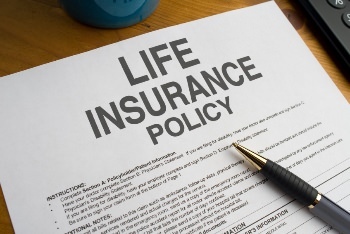 However, the life insurance company may require that certain conditions are met, and / or the insurer may have certain requirements in place in order to have the beneficiary changed. For example, when the policy was initially applied for, you may have made the beneficiary designation as irrevocable. What this means is that you are not able to change the beneficiary without the consent of that individual. (You will be able to find out whether or not the beneficiary designation is or is not irrevocable by looking on the policy itself). Typically, the best way to know how to change the beneficiary on your burial policy is to contact your insurance agent or burial insurance carrier directly. They can assist you in filling out any of the necessary paperwork that will be required for indicating who the new beneficiary will be. If you are unable to locate the agent or company that originally sold you the policy, there should be a contact number for the company listed on your policy's statement, as well as on any of the premium statements that you receive. Most insurance companies will also have contact information that is listed on the Internet. You may also have more than one beneficiary on your burial insurance policy. For example, if you have two children, you may have named both children as the beneficiaries, each to receive an equal 50% portion of the proceeds. In addition, you may also have named primary, contingent, and even tertiary beneficiaries. What this means is that, if your beneficiary were to pre-decease you, then another "back-up," or secondary, beneficiary would step in and take the place of the primary beneficiary. Likewise, if something were to happen to both the primary and the secondary beneficiaries before you were to pass away, a third beneficiary in line, or tertiary, beneficiary would step in and inherit the proceeds from the insurance policy. In any case, similar to with any other type of life insurance proceeds, the funds that are received by a beneficiary from a burial insurance policy will typically be free from income taxation. This means that the beneficiary will be free to use 100% of the policy's proceeds towards paying your final expenses, debts, and other financial obligations. When purchasing a burial insurance policy, it is typically best to go through either an agency or a company that can offer many choices - and this comes by having access to multiple insurance carriers. In doing so, you will be able to compare, in an unbiased manner, many policies, benefits, and premium quotes - and from there, you may then be able to determine which will be the best for your specific situation and premium budget. If you are ready to move forward with the purchase of a burial insurance policy, we can help. We work with many of the top life insurers in today's marketplace - and we can assist you in obtaining all of the information that you will need in making a good, solid purchase decision. Therefore, whenever you are ready to proceed, get your first set of quotes by filling out the form on this page. Should you have any additional questions regarding how to change the beneficiary on your burial policy - or even if you just have a question about life insurance in general - we can help. We can be reached directly by calling, toll-free, 877-235-9299. We understand how important it is that you find the right type and amount of burial insurance and that you have the flexibility to name and to change the beneficiary of your choice. So, contact us today - we're here to help.